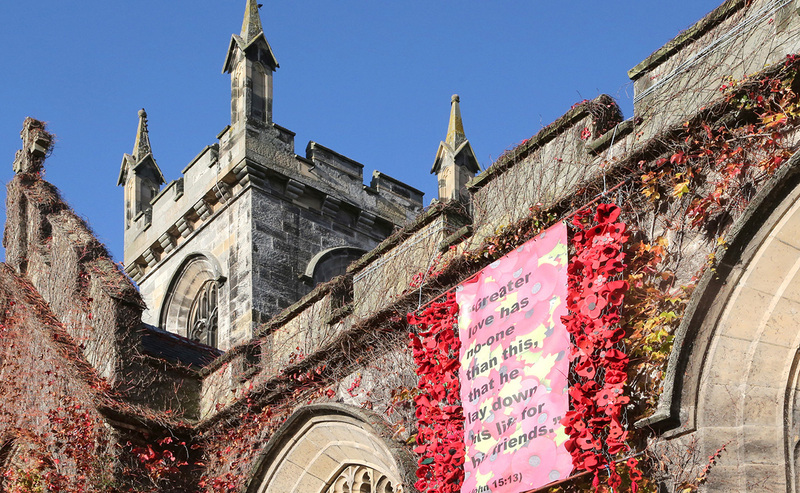 As part of this year’s Remembrance Day events, Liberton Kirk in Edinburgh is commemorating those who served in WWI with a poppy display of around 17,000 knitted, crocheted and crafted poppies which have been crafted by people from as far afield as New Zealand and Australia. The display, which will be on show from Sunday 21 October to Sunday 18 November, also coincides with the First World War Armistice Centenary on 11 November. Skilled embroiderers, craftsmen, volunteers and church members have worked together to contribute poppies made from wood, copper, plastic, wool, felt and many more creative materials. "The project was the idea of Dorothy Morrison, one of our members, who had been inspired by a similar effort by another Scottish church last year. “Over the last six months the idea has really taken off with contributions from knitting circles, school children and local prisoners adding to the numbers of poppies from all over the UK and all over the world, and which has just topped the 17,000 mark. “Our intention has always been to focus not only on those who have lost their lives in times of war, but also those who have survived war but still bear the scars." A special evening songs of praise event will also be taking place on Saturday 10 November from 7:30pm within the church, with hymns, music, readings and poetry. A remembrance service will then be held on Sunday 11 November at 10:50am which will include the Act of Remembrance and a two-minute silence, before churchgoers will be led out to the cemetery war memorial. 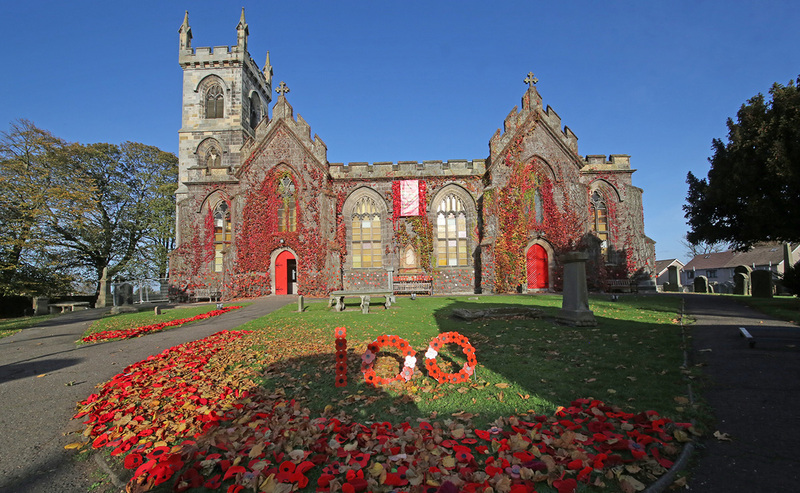 Churches from the High Kirk in Stranraer to Uphall South Church in West Lothian have also been working on their displays over the last few months, and we will be sharing their work on our Facebook and Twitter social media channels over the coming weeks leading up to Remembrance Day on Sunday 11 November. 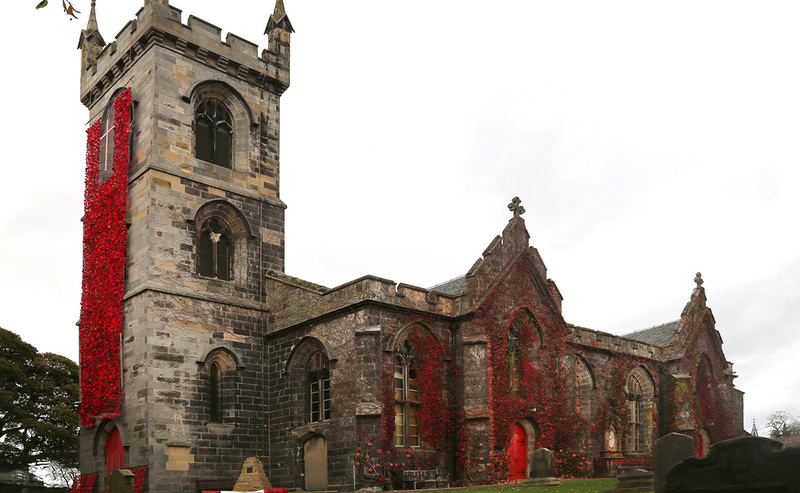 You can view the display on the Liberton Kirk church building and tower from Sunday 21 October to Sunday 18 November. 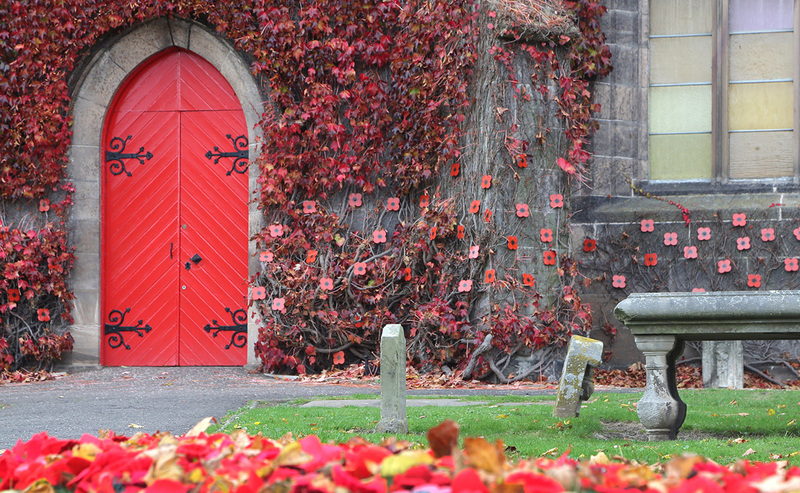 Some of the poppies will also be on display within the World War I exhibition inside the church. Access to this exhibition will be available on Saturday 3 and Saturday 10 November from 10am-12pm and Sunday 11 November from 2pm-4pm.